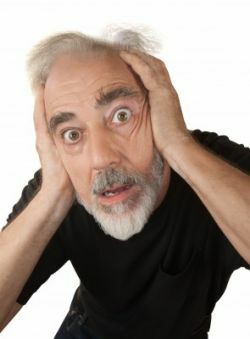 Fear of the dentist is real, especially in the senior citizen segment of the population. The reason? Senior citizens are the folks who had some of the worst experiences with dental care in the past because advanced research and pain-free dentistry was not available at that time. Somehow that fear has been transferred to viewing the dentist as the person to fear. If you suffer from fear of the dentist, we completely understand! As with all advances in technology and in the world, 21st century dental care has become part of a normal health maintenance routine for most people because now it can be painless. Unfortunately, however, many people still relate “dental care” to memories of the past when they had an unforgettable experience in the dentist chair that caused pain. We, at the offices of Dr. Ron Rotem, completely respect those fears and we understand how those memories can cause discomfort at the slightest mention of going to the dentist. The fears are real, the people are real and our care and concern for patients with fear is also real. At the offices of Ocean County dentist, Dr. Ron Rotem, the entire staff is trained to ease each patient into the comfort of sedation dentistry. If you are not familiar with sedation dentistry, now is the time to allow Dr. Ron Rotem to show you how easily you can breeze through your next dental treatment. As a result of fearing the dentist, many people avoid much needed treatment, leading to worsening dental conditions that require even more extensive treatment. This attitude will only result in the evolution of more fear and more dental problems. Sedation dentistry is a wonderful way of keeping your oral health in optimum condition without experiencing any of the situations of the past. Dr. Ron Rotem has practiced sedation dentistry for most of his years in the profession and his demonstration for patient comfort is evident from his every growing roster of confident and loyal patients. Don’t allow your memories to conjure up fears of the past that no longer exist. The reality is that sedation dentistry does exist and Dr. Rotem is your dental care professional for sedation dentistry. Living with fear is never a good thing. Call Dr. Ron Rotem today so you can enter the new world of pain free dental care.